Brandan “B-mike” Odums is a highly sought after visual artist and filmmaker who uses these chosen mediums to tell stories and make statements that transform the minds of viewers as well as the spaces in which his work appears. In 2016 Brandan debuted his first solo show in New Orleans in a 35,000 sq. ft. warehouse named #StudioBe. 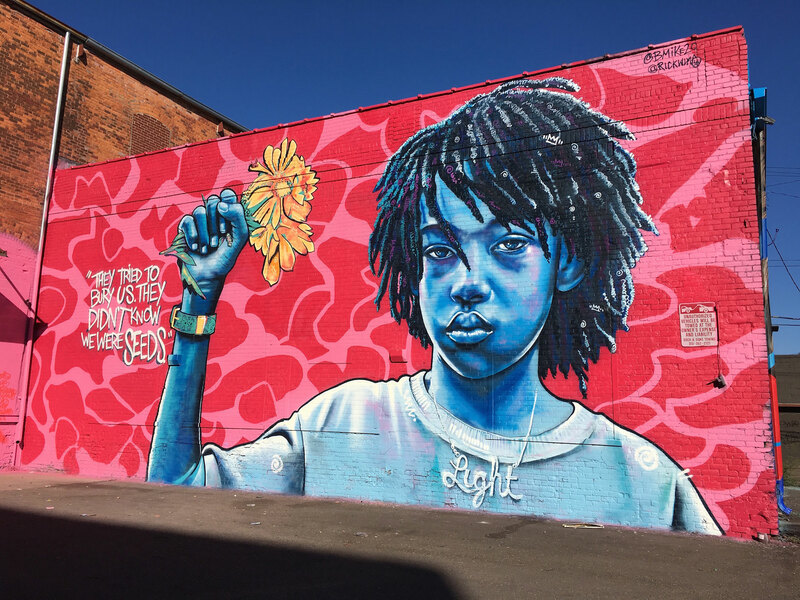 He has completed commissioned murals in many locations including Eastern Market. This lecture is free and open to the public. Stick around and enjoy the Detroit Street Art Exhibition, a retrospective of the School of Architecture’s ongoing collaboration with TAP Gallery in Southwest Detroit, including examples of Detroit-based street art. Exhibition opens September 10-15.